Kisumu LitClubs Receive Laptop Donations! Through our partnership with the Millennium City Initiative, we are able to support Girls LitClubs at Kodiaga and Magadi primary schools in Kisumu, Kenya. Recently, they received their laptop donations, which they will use to conduct more trainings for teachers, and to use to enhance programming for the LitClubs! We are thrilled that they now have another resource to create a positive learning environment for their youth! We thank Lois and Beldina in Kisumu, Kenya, for all of their work! Conference on Girls Education in Segou, Mali! During the International Day of the Girl, our friends in Mali had a debate event on the topic of girls education with over 40 participants! It was overseen by the Deputy Mayor in charge of education and five communication counselors. Many organizations came to celebrate and participate in this open conference, and we are thrilled to see that this created an incredibe space for dialogue for girls throughout Mali, and across the globe! This event was made possible by our partners at Millennium Cities Initiative! 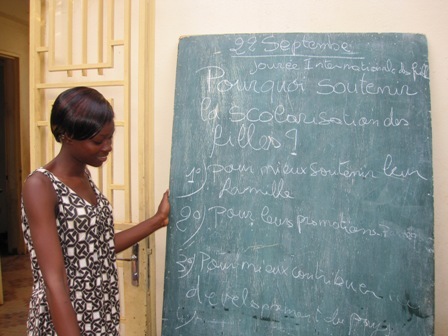 Girls from Mali Stand Up for Girls! 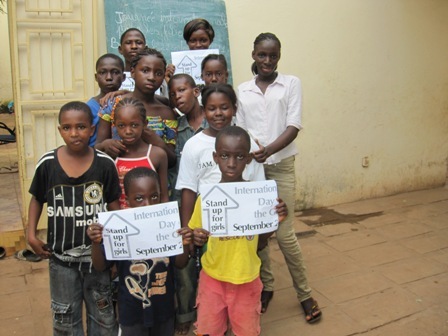 Our beautiful friends in Mali stood up for girls on September 22nd, the International Day of the Girl! These photos are just so inspiring. We had to share! 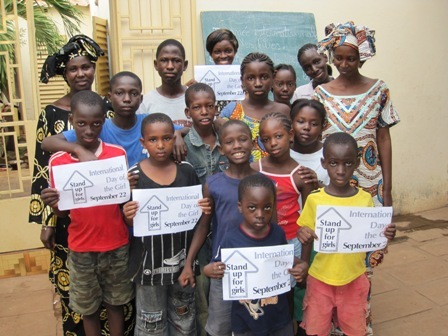 Again, we thank our partners at Millennium Cities Initiative for connecting our movement with the beautiful people of Segou, Mali on this special day! New Canaan Country School Stands Up for Girls! We love these pictures from New Canaan County School in Conneticut as they celebrate International Day of the Girl with LitWorld, Millennium Cities Initiative, and Connect to Learn! Even the field hockey team stood up with girls all across the world! We love how happy she looks to be joining in on the day's mission! LitWorld Girls Clubs in Kisumu, Kenya Stand Up for Girls! On this day they thank our parents, guardians, siblings and well wishers who are taking care of them to ensure that they come to school, feed and have a shelter. They girls were asked to be grateful where they are right now and aim higher. Each teacher then gave a personal account of how it was back then when she was a girl their age. It was quiet interesting to note that although we grew up in different environment, we more or less had the same dreams and aspirations. What was noted – your teacher, your greatest inspiration. 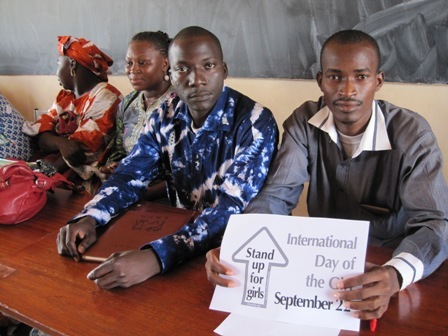 We, the teachers, pledged to STAND UP FOR GIRLS! We will support the girls around us positively in every way we possibly can. Ms. Sawala from Amilo primary school graced the occasion and then spent some time inspiring the students to work hard in their studies, aspire for greater things in life. She spoke about her life in school and how to be a girl is beautiful. The facilitators and l also got inspired. The girls demonstrating how they use their solar lanters. The solar lanterns are part of the Lit! Project, a project of youth ambassador Ben Hirschfeld. We want to send a special thank you to our colleague, Lois, for making this happen on the ground in Kisumu, and to our partners at Millenium Cities Initiative for helping us make the Girls Clubs in Kisumu, Kenya, happen!